"Mommy can I go on the conputer" says the three year old sitting by his mac. "Thanks mommy" He types into google 'Pretty Woods'. He finds a picture of Bland trees that are blue with a bit of yellow in the middle and thinks 'Ooooh thats pretty' but really its not. After all he's just a kid. He wants to put some writing on but he's young so he cant make it look good. 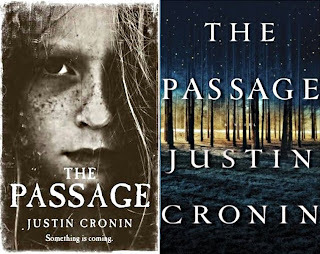 He just mashes on the words THE PASSAGE A NOVEL JUSTIN CRONIN. It looks very bad but he thinks its good. Also the cover has no relevance to what it's suposed to be about. See what I mean. TOTALLY creepy. It's generally better and suits the book more whereas the US looks like a toddlers has found a picture and stuck some lousy writing on you see. I hate the US cover and I would never pick it up in a shop and if I knew it was an amazing (like I did before I managed to get my hands ona signed copy) I would have got the UK covered one from an online store. I really just think the US cover is bad apart from the 'A NOVEL' bit. 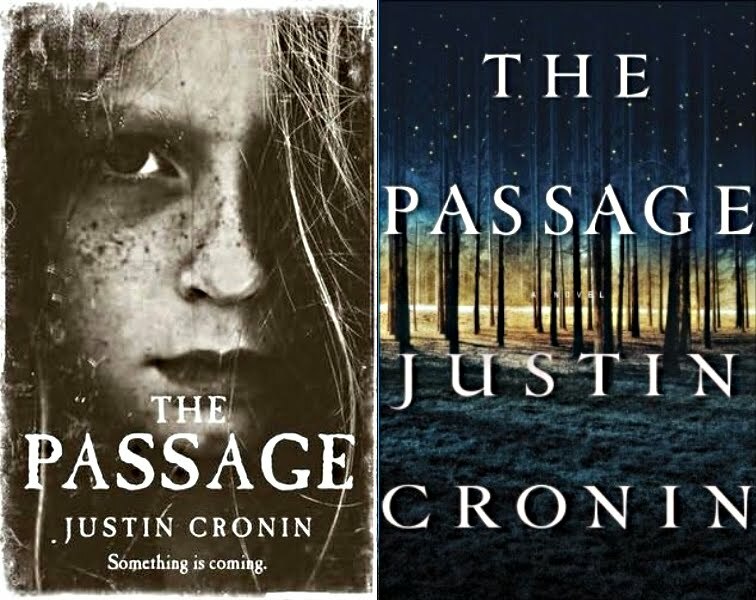 I love the way that although the UK cover is CREEEEEEPY it has the white writing saying 'Something is coming' It's awesome. Overall I luuurv the UK cover the Best. :) Well done ORION books you have created a rockin' cover.